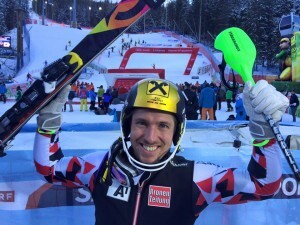 Respect for Marcel Hirscher. People wondering what being a champion means please watch Marcel Hirscher’s second slalom run in Santa Caterina (So) – the slalom that was originally due in Zagreb and later cancelled because of lack of snow. 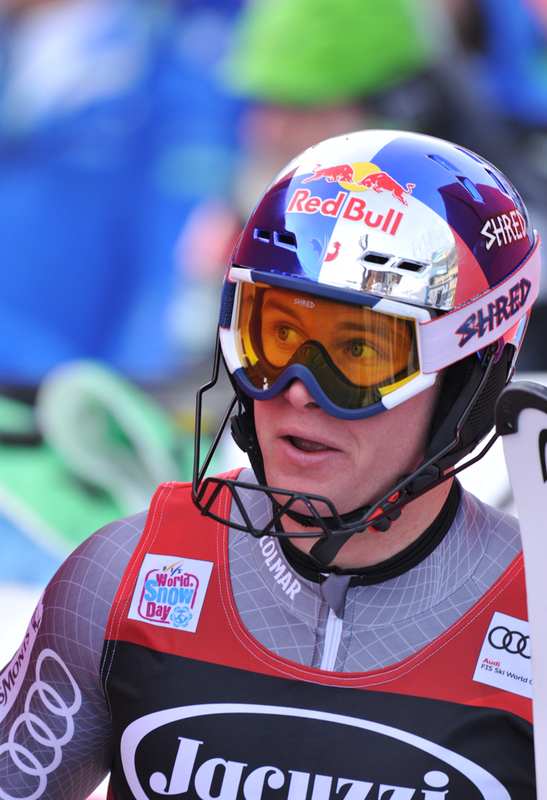 The Austrian who won the last four World Cups didn’t find the right pace in the first run, being the course too tight and slow. 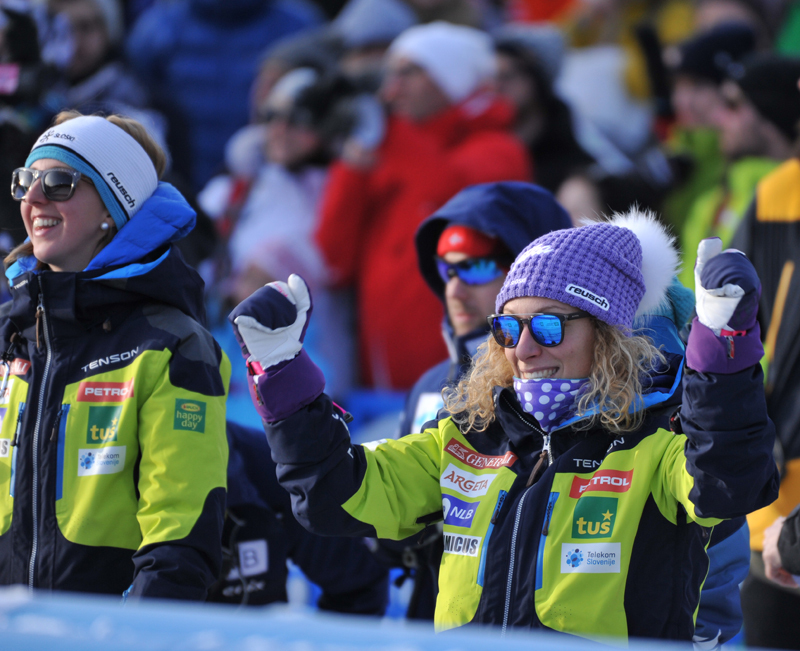 He was third with 3/100 of a second behind the Norwegian Henrik Kristoffersen and 10/100 from the Russian Alexander Khoroshilov. 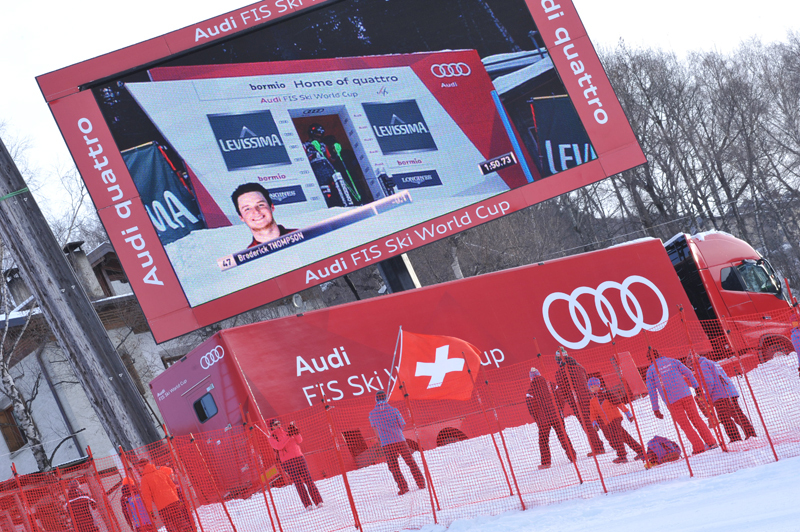 But in the second run he was definitely faster, he risked it all and had his revenge on Kristoffersen – who beat him in the two previous slaloms of the World Cup season. 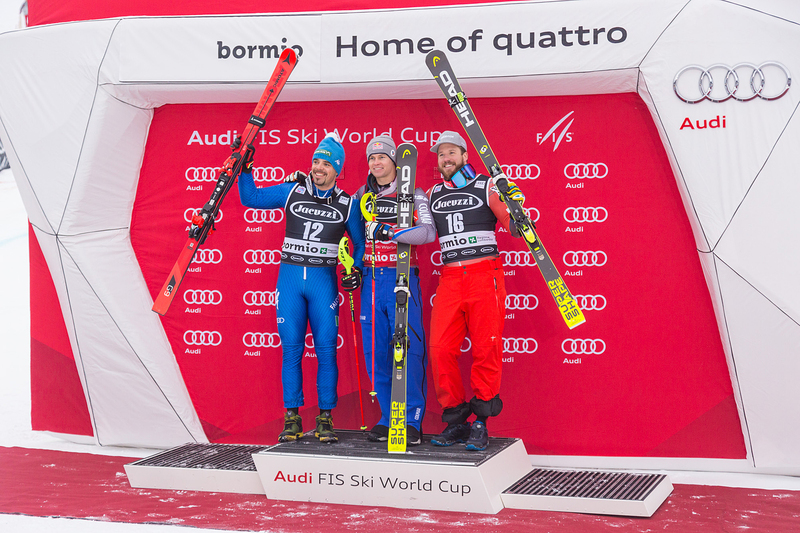 The young Norwegian is second (21/100 of a second behind Hirscher) while Khoroshilov is third (32/100 of a second). It was a difficult race for the “Azzurri” instead. 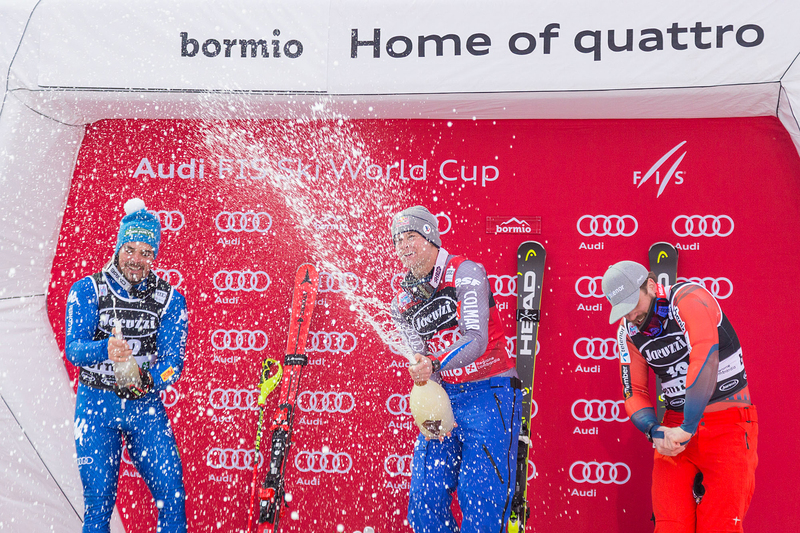 They were probably influenced by the results of the previous two slaloms – Val d’Isere and Madonna di Campiglio. 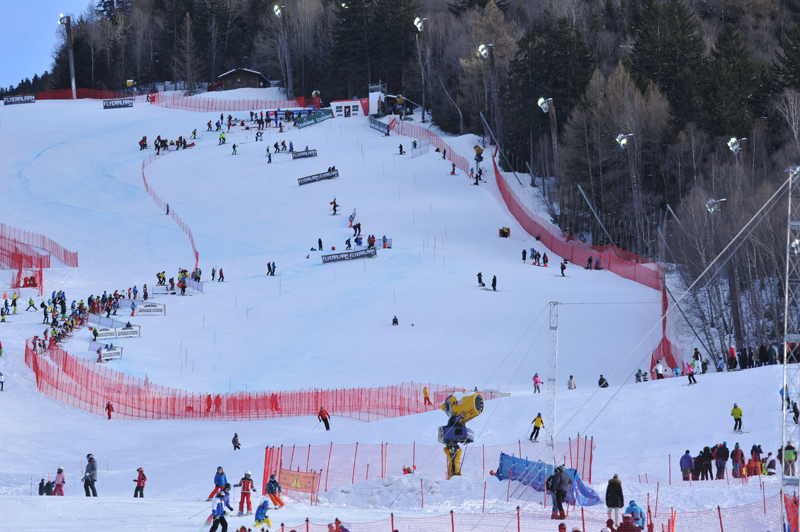 On a track where they needed to attack from the first centimeter of the first run they looked like they mainly wanted to cross the finish line without trying to get to the limit. 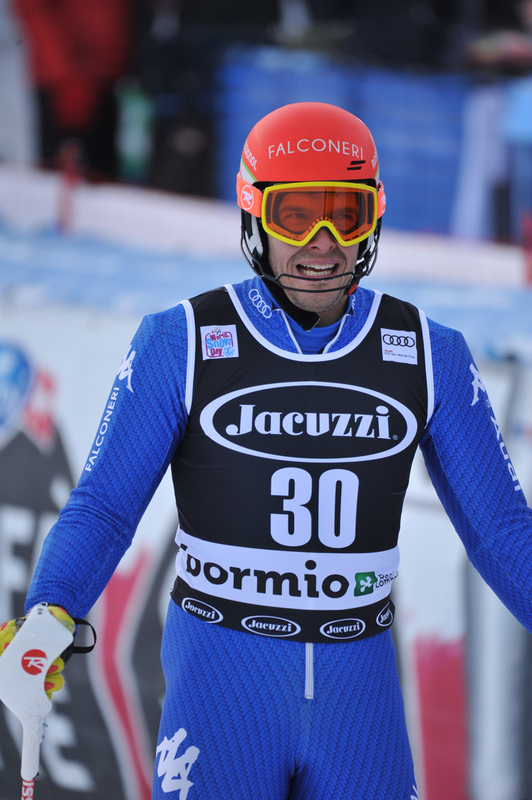 Stefano Gross, at the start with bib number 1, was only 17th (+1″36 from the first run leader Alexander Khoroshilov). 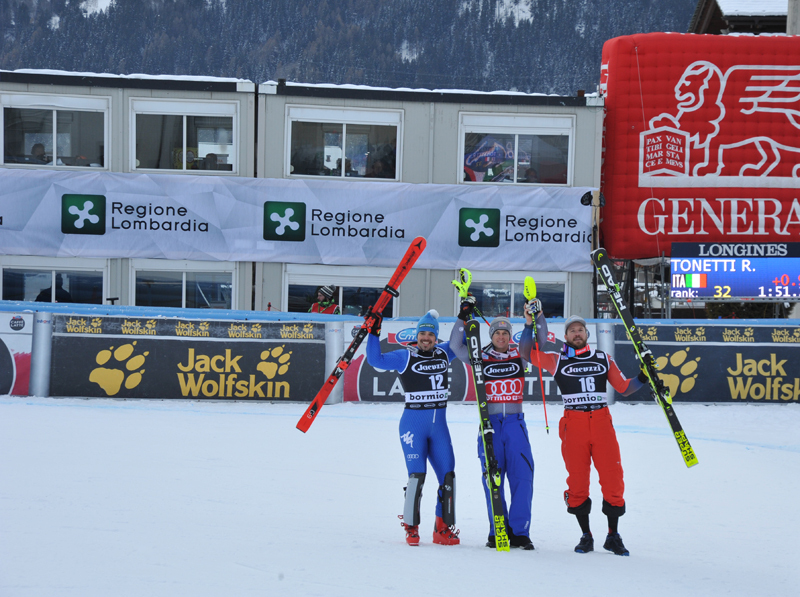 He did better in the second run and at the end he got a 12th position (+1″99). Giuliano Razzoli was unlucky: he was 22nd in the first run, he was doing very well in the second one, but a hump stopped his race. 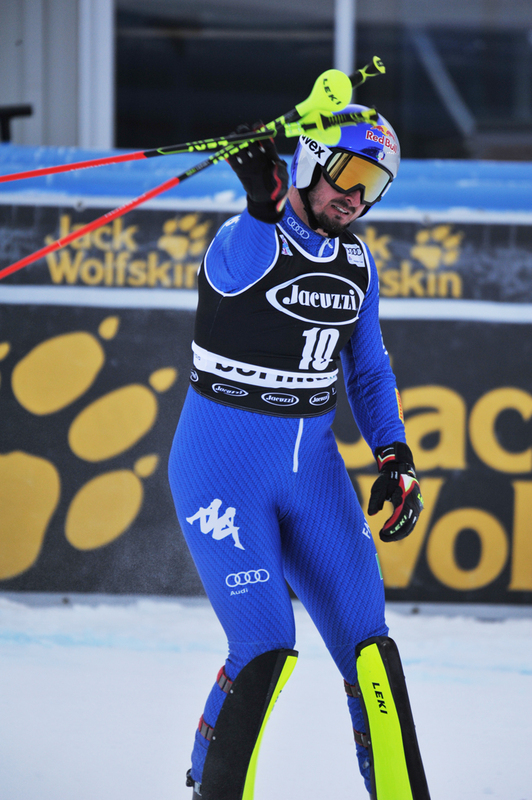 Patrick Thaler was 14th and eventually gained 16 positions in the second run with a third partial time. Riccardo Tonetti is 23rd. 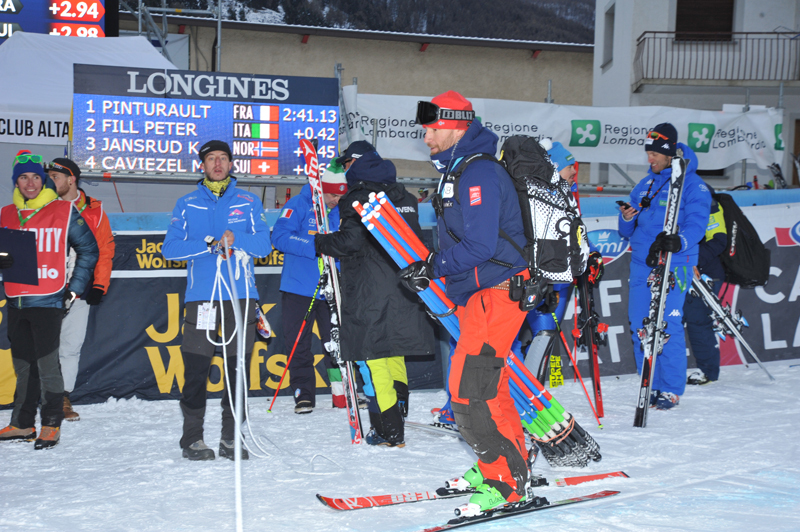 Manfred Moelgg was out of the games in the first run. He lost support and fell on the pole. He had a trauma to his left iliac crest that required a more thorough diagnostic check at the hospital in Sondalo where, however, they didn’t notice further damages. 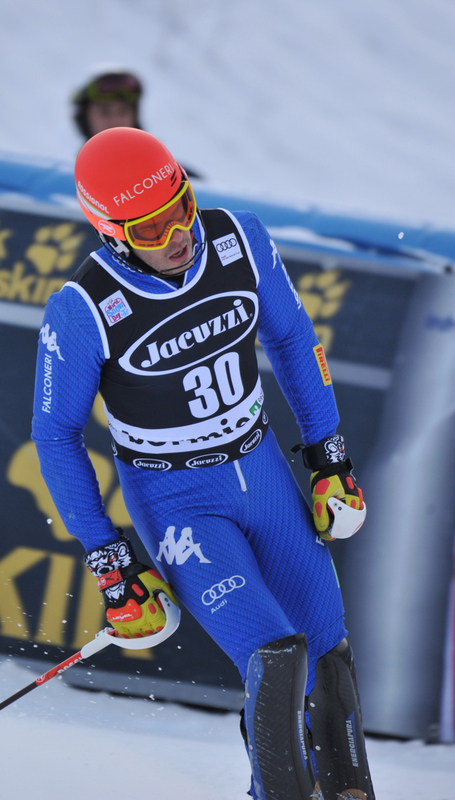 Ballerin and the newbie Sala were out in the first run and a feverish Roberto Nani did not qualify for the second run. 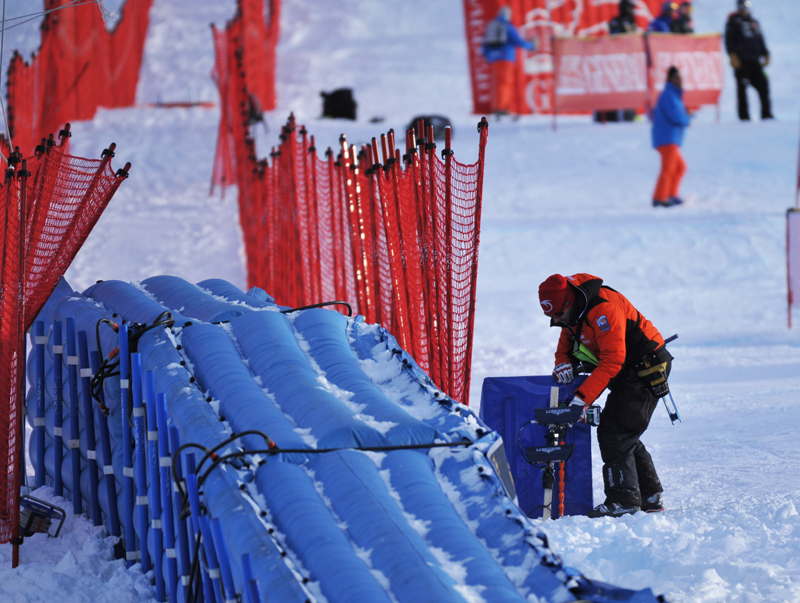 Considering the problems with snow, many teams will stay in Santa Caterina to train during the next few days, before being back on course on Sunday in Adelboden (Switzerland).